Movies are the most electrifying communications medium ever devised and the natural conduit of inspiring ourselves to look into the eternal issues of who we are and why we are here. So says film executive Stephen Simon, producer of more than thirty films, including Somewhere in Time and What Dreams May Come. Simon illuminates for the first time, with humor, energy, and passion, this emerging category of Spiritual Cinema; a genre finally being recognized for what it is: a metaphoric pathway to explore such things as the nature of love, the meaning of life and death, the concept of time and space, the visions of our future. Movies have become our windows to the universe. The sheer imaginative power of the screen has shaped the way humanity views itself, the world, and the cosmos. The increasing technology of cinema has given us the opportunity to see before our eyes images that reflect all that imagination can conjure up--not only to ask the questions plaguing us since humans first contemplated the heavens, but to pose some answers as well. 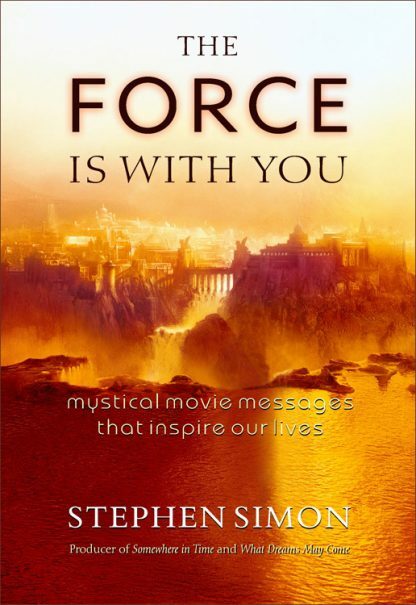 Through his exploration of more than 70 movies that best represent the genre in all its aspects, Simon gives us his personal interpretation of these films and the extraordinary messages they embody. Here is a wealth of inspiration, including the inside stories behind the making of many films and the familiar names who participated in their making. This is a book that will break ground for the many visionary storytellers and filmakers to come, and most of all, their audiences.